Construction has recently started on the £650 million Airport City development, in Manchester, a 10 to 15 year construction project, designed to completely transform the area around Manchester Airport. Global air travel is changing, with people wanting airports to be destinations, rather than just a gateway to travel; they are becoming more of an economic hub where people work, live and play, globally known as ‘Airport Cities’. Manchester is the only regional airport in the UK which has the existing potential to develop into an Airport City, with the unique combination of location, land, connectivity and infrastructure. The Airport City is going to be a life changing environment for Manchester, creating 11,400 new permanent jobs, giving a real boost to the local and national economy. 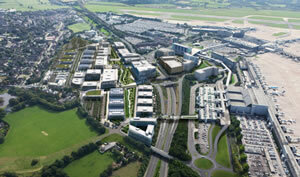 Carillion have won the bid to develop the Airport City project, and there lies some huge opportunities for hire companies and contractor suppliers to gain business from this internationally focused project. 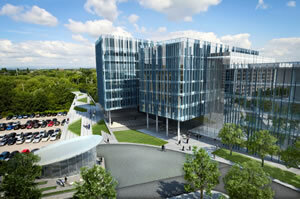 In October 2009 planning permission was granted to regenerate the 5.5 acre site at Victoria circle. 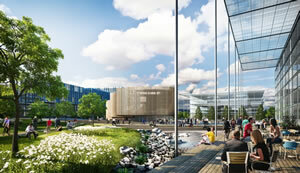 The complete project will be approaching 1 million square feet, consisting of offices,. The TuffBank™ is a market leading brand of tool vaults, offering the best combination of superb quality and excellent value for money. This tough, sturdy range of site boxes and van boxes.